Security forces killed Thursday six alleged militants who were preparing an attack against a security checkpoint near Al-Arish Airport, in North Sinai, eyewitnesses told state news agency MENA. Two local residents were injured amid the attack and transferred to Al-Arish General Hospital, MENA said. The assailants were getting ready for the attack in an area located behind Al-Arish Airport when they drew the attention of security forces who opened fire on them. Militants have stepped up their attacks against security forces since Islamist president Mohamed Morsi was ousted by the military 3 July following mass protests calling for his departure. 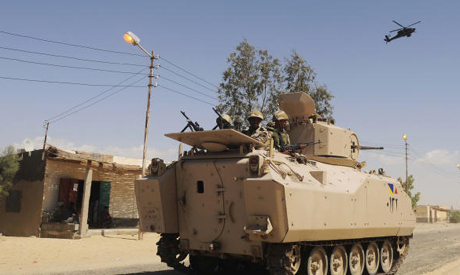 Most of the attacks have been taking place in the volatile North Sinai, prompting the army to launch a major counterinsurgency offensive in the region.